A very special Piece Unique for their retail partner in London, Marcus. The HM4 Thunderbolt’s engine is the culmination of three long years of intensive work. 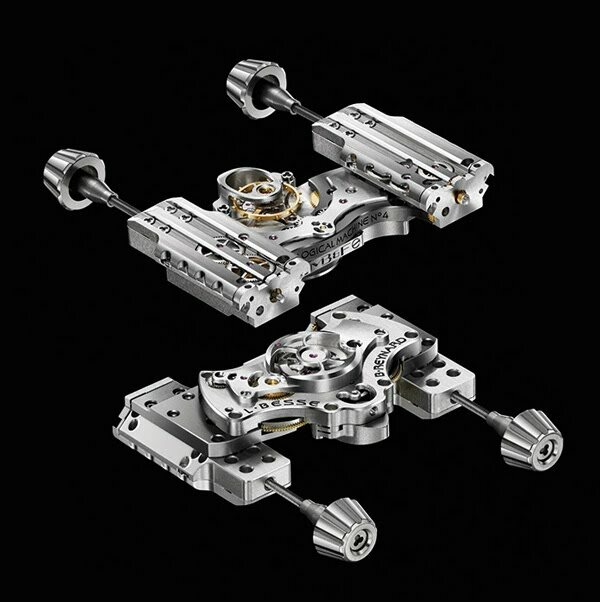 Every component – 311 for the Engine and 65 for the case – was designed and produced specifically for this Machine for an explicit function: nothing superfluous, every line and curve in perfect harmony. Visually, HM4 consists of two streamlined jet-turbine-styled pods flanking a horizontal platform housing the Engine. 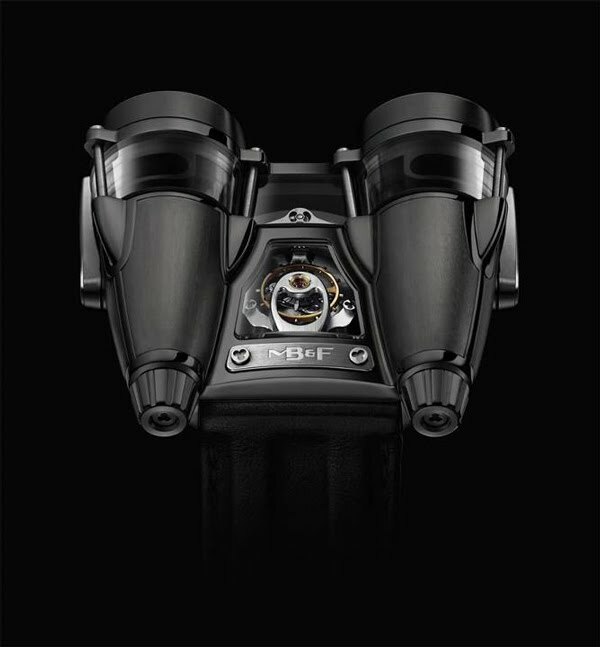 Technically, there are also three main sections, comprising a fore section with the dials and articulated front lugs, in high-tech black PVD Grade 5 titanium for this unique piece; a transparent sapphire crystal central section offering 360° access to the Thunderbolt’s Engine; and an aft section tapering down to dual crowns. 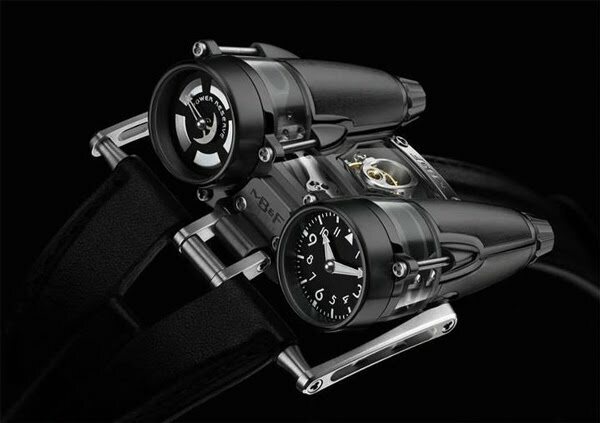 The highly legible perpendicular dials – power reserve (left), hours/minutes (right) – are each controlled by their own crown; one to wind, the other for time setting. HM4 Thunderbolt is powered by two mainspring barrels in parallel providing 72 hours of energy, which is transferred to the sleek indication pods via vertical gear trains. A sapphire display panel on top of the case reveals the isochronally oscillating balance wheel supported by an elegantly sculptured bridge. 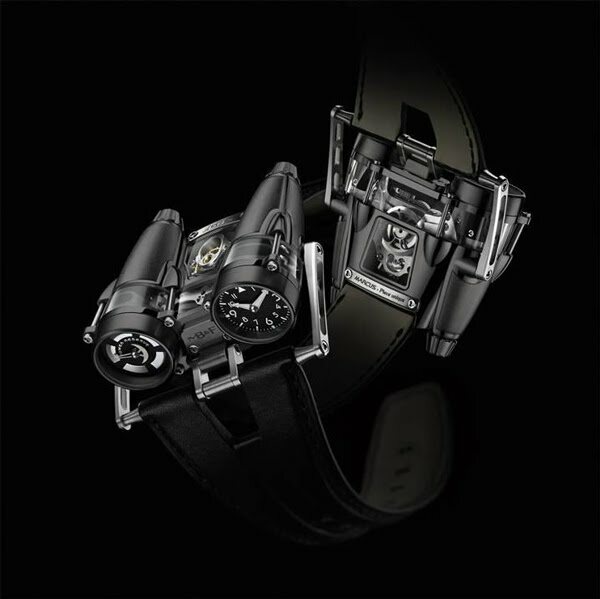 Turning the Thunderbolt over reveals an engraved plate ‘MARCUS – Piece Unique’, while transparent sapphire panels showcase the meticulously finished micro-engineering of the Engine. 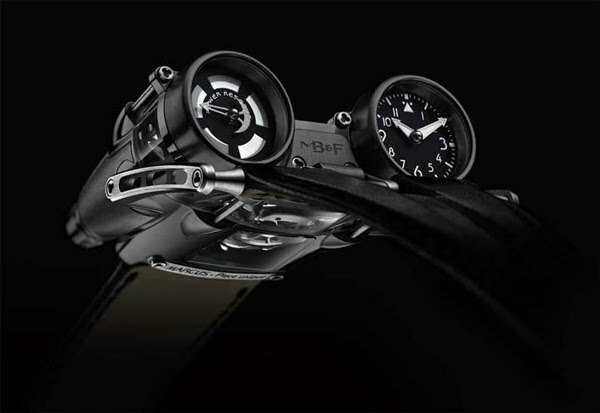 MB&F is honoured to have created this special piece for a very special retail partner.